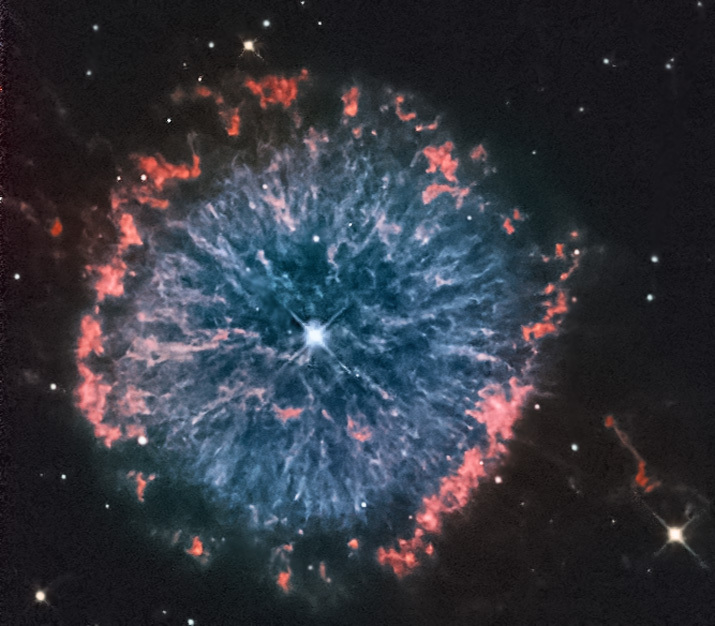 Explanation: Planetary nebulae can look simple, round, and planet-like in small telescopes. But images from the orbiting Hubble Space Telescope have become well known for showing these fluorescent gas shrouds of dying Sun-like stars to possess a staggering variety of detailed symmetries and shapes. 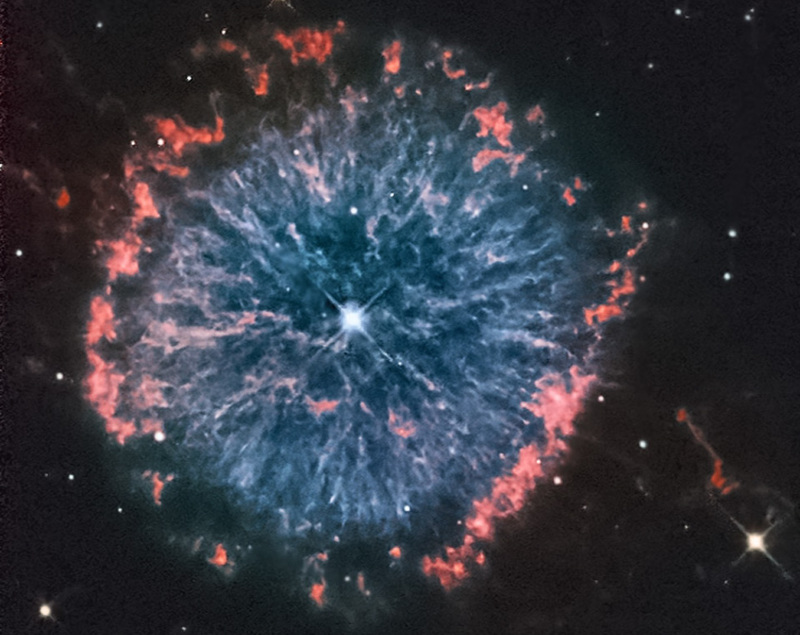 This composite color Hubble image of NGC 6751, the Glowing Eye Nebula, is a beautiful example of a classic planetary nebula with complex features. It was selected in April of 2000 to commemorate the tenth anniversary of Hubble in orbit, but was reprocessed recently by an amateur as part of the Hubble Legacy program. Winds and radiation from the intensely hot central star (140,000 degrees Celsius) have apparently created the nebula's streamer-like features. The nebula's actual diameter is approximately 0.8 light-years or about 600 times the size of our Solar System. NGC 6751 is 6,500 light-years distant in the high-flying constellation of the Eagle (Aquila).